Then I knew just what to do. I hopped out of bed and sat at my computer and promptly made this list of characteristics that I’m asking Him to make over for me. So, here’s my idea: Read through these scriptures with me, and pray these prayers, and download the worksheet at the bottom of the post. 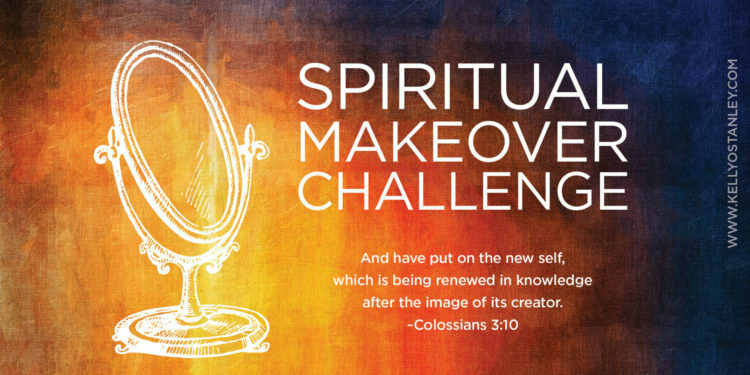 Then spend some time reflecting on your spiritual beauty (and imperfections), and go to God in prayer, asking Him to transform You to be more like Him. P.S. Don’t give up. It may take some time for God to reveal His ideas to you or to give you the chance to practice these traits. But rest assured that He does want to transform all of us to become more like Him. We just have to be willing to let Him! Click here or on the worksheet image below to download the PDF file. Philippians 1:6 ESV: And I am sure of this, that he who began a good work in you will bring it to completion at the day of Jesus Christ. 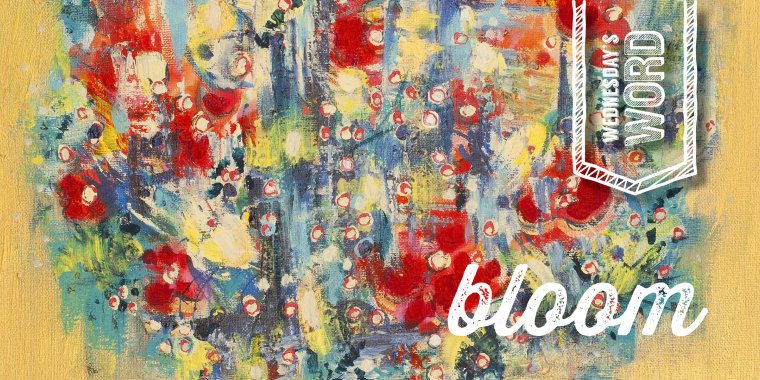 Today, I’m giddy about welcoming my friend Marcia Kendall to my blog. I sometimes have the privilege of reading and reviewing books for other writers, and this one came to me recently. I knew it would be really, really good, but I hadn’t found time to review it yet, so I asked Marcia. And in her kindness and usual giving spirit, she wrote this for me. Enjoy. 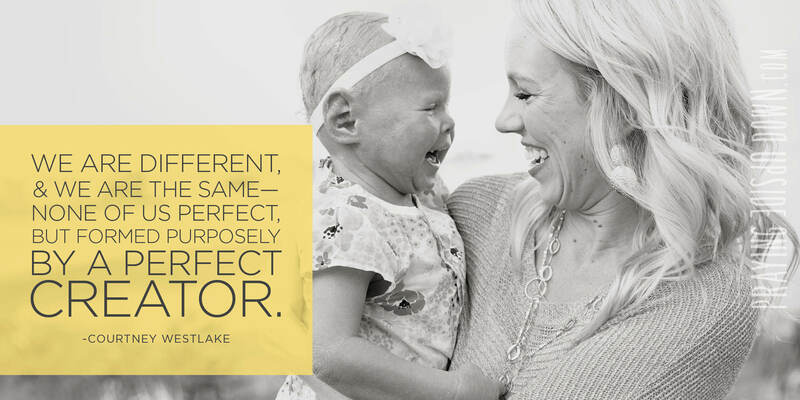 But when my husband, my son, and I welcomed our daughter into our family, our world was not turned upside down. When something is turned upside down, it falls apart. But not our world. Our world was shaken up. When you shake something, only the strongest pieces remain standing. The weak pieces fall to the wayside. And through this, we came to realize how unimportant those weak pieces were that fell apart and fell off—pieces of our lives that were not priorities, that didn’t matter. Her honest stories brought me into her world. I realized that something as simple as painting her daughter’s nails required a safety negotiation in her mind. This book taught me about harlequin ichthyosis and the special care it requires. Courtney’s explanation of how they lovingly serve their daughter, Brenna, reminded me of Jesus washing the feet of His disciples. This made me question what in my life would remind people of that…this proved to be a very challenging question. A few days after Brenna was born, a family member said to me and Evan, “I haven’t talked to God in years…but I’ve actually been praying for Brenna.” In that moment, I began to feel my worry transform into a faithful trust in God’s purpose for her very significant life. With each [blood gas] draw, there came a very slight improvement. It was so slight that it was not much to base any hope on, but that’s the thing about hope: we always reach for it no matter the circumstances. Faith doesn’t necessarily come from answered prayer or miracles or met expectations. No, what I have found is that faith comes from trust in God’s will and God’s greatness regardless of what the world tells us we should believe. And sometimes we must fight every day to maintain that trust as the world pushes against it. And I think many of us who have experienced tragedy or grief can relate in part to the moment we must face the realization that we did “everything right” but things turned out differently than expected. We did everything we knew to do to deliver a strong and healthy child, and our daughter was still one of the sickest babies in the NICU. We did everything right, and we still faced so much uncertainty about being able to take our baby home. When I picked up this book, I expected a memoir. What I didn’t expect was to be taught how to live in a more beautiful way. 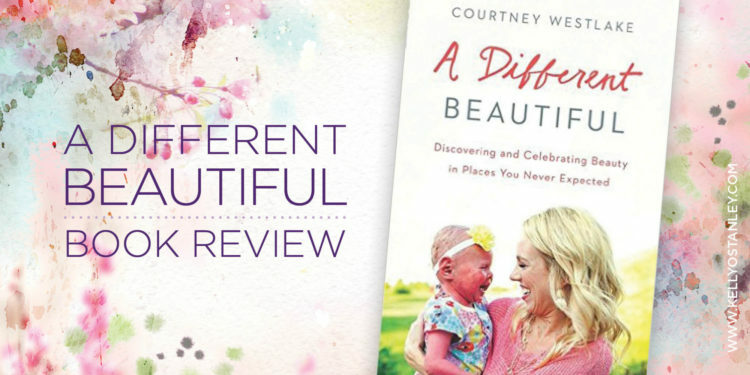 Courtney did something that is rarely seen, she taught the reader simple, concrete ways of how we can be more sensitive to visual differences. This is something that is important for all of us, and I immediately put the book down and taught my own children. For our family, we now know a different beautiful, a beautiful that the world might struggle to see or understand, but those of us who know and love Brenna have gratefully been given the gift of understanding this different beautiful. This kind of transformation comes from the personal choices we make in our lives. Every time we decide to write our story as one that is positive and good, every time we turn a setback into a comeback, every time we choose to praise and be grateful even in the hard, and every time we meet another person’s eyes with kindness, that’s when we are learning how to truly live a life of celebration. I recently read a tweet, “Think how different we and the world would be if we approached every new situation with two goals: listen and learn.” I suggest we start with this book. Here is my favorite line from the book, “The Lord has a narrow focus…one focus. Our hearts.” Well, Courtney Westlake, your heart is certainly beautiful. 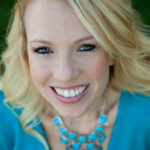 Courtney has been writing since she was young, and she holds a bachelor’s degree in journalism. Writing became the way she processed a whole new frightening and beautiful world as her family learned how to care for Brenna…and learned how to truly celebrate this difficult and wonderful life. 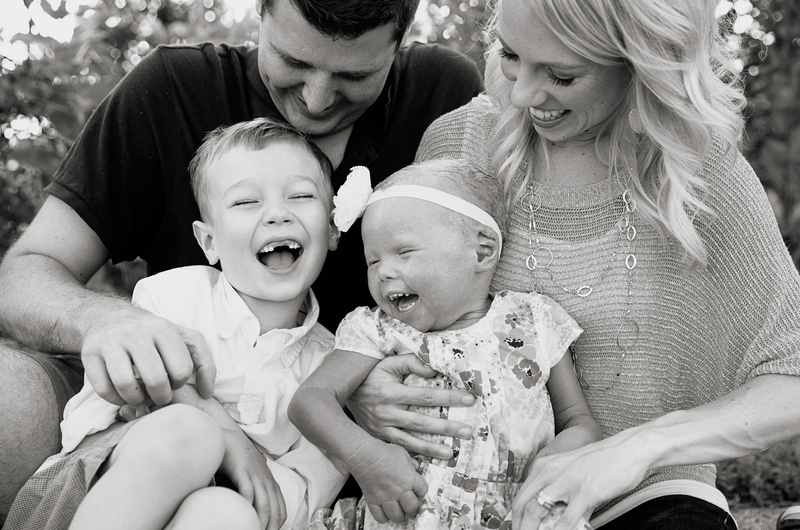 She began this blog in 2011 when Brenna was just four days old, after she had been diagnosed at birth with a very rare and severe skin disorder. Her children’s book That’s How You Know was released in 2013. You can read more about Courtney here and more about the Westlakes’ story here. 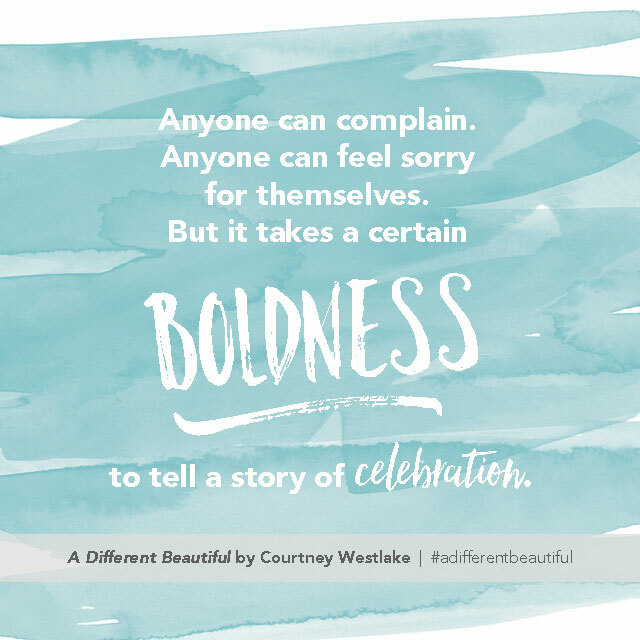 If you’re interested in having Courtney speak at your event, read more information here. And if you buy the Kindle version by August 31, it’s on sale for just $2.99! I don’t know about you, but I go to great lengths to avoid calling customer service departments. I’ll deal with phone or internet issues as long as I can before I am willing to invest two or more hours to call for help, listening through long messages telling me to press 1 or 2 or 3 or 4 but never actually the department I really need — not to mention the 4- or 8-hour time block they insist you set aside for their representative to stop by and flick a switch and make things magically work again. It seems like there’s always so much red tape. Before the person on the phone will even talk to you, you have to tell them your mom’s maiden name. The name of your favorite elementary school teacher (or first family pet)? Make and model of your first car? Favorite singing group? Last four of your Social Security number? Birthdate? Account number? Favorite superhero? Exact count of the hair follicles on your head? And how many of those are gray? Grr. So when my friend Tami’s gas was turned off — a mistake, not due to lack of payment — she was really upset at all the hoops she had to jump through to get it back on. Her frustration built and built, but what choice did she have? They needed heat. When, at long last, the gas man came to re-light the pilot lights, he noticed something. Tami’s water heater was venting carbon monoxide into their basement. They never would have known about this potentially lethal problem if their gas hadn’t been turned off. There are times when we feel that our prayers have gone unanswered. Is it that God doesn’t hear us? Or is it that He doesn’t care? Or maybe, just maybe, we wonder if He in fact caused the situations that bring frustration and anger and sadness and a whole range of other emotions. We’re quick to judge whether something is good or bad. I think we tend to forget that sometimes what seems on the surface to be bad may actually be good. A blessing in disguise, if you will. Just like graffiti. I know I’m not supposed to like it. I realize that the act of painting on a brick wall or the side of a train is trespassing, a form of violation and destruction. I’m aware that all of that is true. The thing is, though, some of the graffiti is actually quite beautiful. It can be art. Beauty where it’s least expected, often found in run-down, decrepit areas. As I pass through those places, I look around more, my heart lightening as I see the bright colors, bold outlines, and strong strokes. The sheer exuberance found in creating something where there was nothing before. Turning it into something new. You have every right to disagree with me and disapprove of the markings on the buildings and bridges and walls you pass. I can’t really defend my position from a legal standpoint, just from an emotional one. While I don’t want to condone the activity, I can’t help but admire the beauty in the finished product. I’ll have to try to remember that the next time the world seems to be conspiring against me, putting up obstacle after obstacle, making my blood pressure rise. After a couple deep breaths, I hope I find myself looking around, like a kid on a scavenger hunt. Anticipating the thrill of discovery. Attempting to look around me with open eyes and an open mind. Trying to find beauty where I least expect to see it. Because I’m certain it’s there somewhere.